Portuguese Verb Blitz available for iOS! Romance linguists are in for another treat this week. Geoglot has released its popular Portuguese Verb Blitz app for iOS! Hot on the heels of its Spanish cousin, Portuguese Verb Blitz makes a welcome transition from Android to Apple. As a highly declined language, one aim of the app is to make learning tricky conjugations just a little more systematic – and fun! Gapfill – drill those spellings! Each activity tracks your progress, too. At a glance, you can see which verbs you find trickiest – great for planning and focusing your studies! 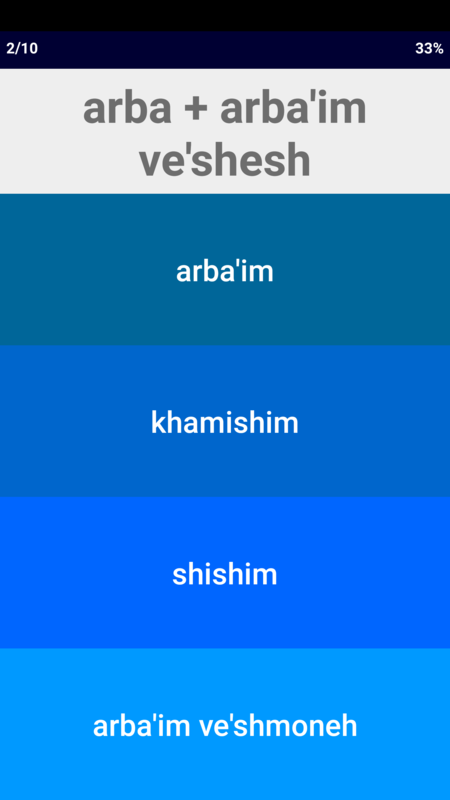 With over a hundred core terms, the app is a great way to learn and consolidate key vocabulary, too. Through regular practice, master some of the most common words in everyday use in the language. The app is available from the iTunes App Store right now. Click here to download Portuguese Verb Blitz from the iTunes App Store! Posted in Apple Apps, Grammar, Portuguese, VerbsTagged conjugate, conjugation, conjugations, declensions, decline, free, free app, free apps, free resources, grammar, learn for free, learn free, learn Portuguese, learn Portuguese free, português, Portuguese, verb, verb tables, verbsLeave a Comment on Portuguese Verb Blitz available for iOS! Keen to share what they’ve been learning with the rest of the language learning community, the Geoglot team has been busy creating resources full of useful content for hacking your speaking skills. In the first of a planned series of free downloadable materials, you can get some conversation Norwegian under your belt with this worksheet, focussing on ten useful verbs for talking about holidays in the present, past and future tenses. Enjoy, and leave any feedback and future resource requests in the comments! Welsh gets the Verb Blitz treatment! Learners of Welsh now have the chance to drill those tricky verb forms, with the release of Welsh Verb Blitz for Android! Combining reference and drill tools, Welsh Verb Blitz is a great way to memorise some of the key periphrastic and declined forms of over 80 colloquial Welsh verbs. Users can even switch between North and South Wales varieties, as there are some key differences between the two – for instance, the North’s preference for o (‘he’) instead of e.
The verbs in the app, as always, represent some of the most commonly used words in the Welsh language, making Welsh Verb Blitz a great vocabulary builder / consolidator too. Welsh Verb Blitz for Android is free from the Google Player Store at this link! Happy learning! Posted in Android Apps, Apple Apps, Grammar, Verbs, WelshTagged Android, app, conjugate, Cymraeg, declension, decline, free, grammar, verbs, Wales, WelshLeave a Comment on Welsh gets the Verb Blitz treatment! Learning Hebrew Numbers? Try Hebrew Number Whizz! Do you get befuddled by numbers in Hebrew? Find learning number words boring? We know we do, although there’s no escaping the fact that learning numbers is an essential part of learning a foreign language. 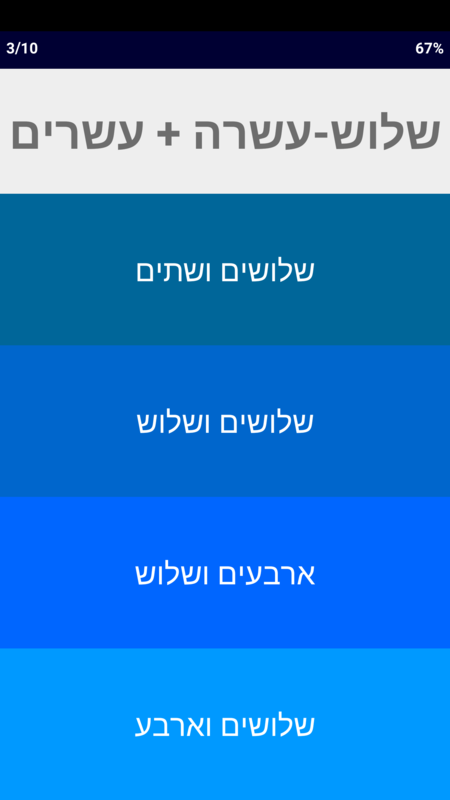 Hebrew Number Whizz is the latest addition to GeoGlot’s apps for Android, and acts as a learning tool and a reference guide to make that chore easier. Using this free app, you can master Hebrew numbers with clear guides and interactive activities. Units, tens, hundreds, thousands and millions – the sky’s the limit with a vast range of numbers covered. Not only that, but Hebrew Number Whizz supports learners at any level through a set of beginner-friendly settings. You can choose to include vowel points in the games, or even put the app into transliteration mode, presenting the numbers through Latin characters. Whatever your level, Hebrew Number Whizz is a great way to make learning numbers – that chore of language learning – a lot more interesting. Click here to visit Hebrew Number Whizz on the Google Play store. More languages to follow soon! Posted in Android Apps, Apple Apps, Hebrew, NumbersTagged Android, app, free, games, Hebrew, language learning, millions, modern, numbers, numerals, thousands, vocabularyLeave a Comment on Learning Hebrew Numbers? Try Hebrew Number Whizz! Italian and Norwegian join the Verb Blitz club! Posted in Android Apps, Apple Apps, Grammar, Italian, Norwegian, VerbsTagged Android, app, apps, conjugation, declension, free, Google Play, grammar, grammatica, grammatikk, italian, italiano, learning games, norsk, norwegian, verbsLeave a Comment on Italian and Norwegian join the Verb Blitz club!